Arkansas Christian Academy is fully accredited through the Arkansas Nonpublic Schools Accrediting Association (ANSAA). 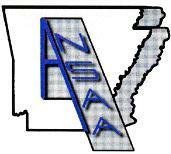 A NSAA is a member of the National Federation of Nonpublic School State Accrediting Association (NFNSSAA). NFNSSAA is an organization of state accrediting associations that serves nonpublic schools throughout the United States. NFNSSAA was founded in 1984 as a non-profit, federally tax-exempt organization. Membership in NFNSAA is determined by a set of accreditation standards and member criteria. The mission of NFNSSAA is to ensure that state nonpublic school accrediting associations are focused on enhancing the quality of education through accountability, educational standards, and membership criteria. To learn more about NFNSSAA visit their website at www.nfnssaa.com.